Carolyne Sharp - A Patriot’s Legacy Foundation Inc.
Carolyne was formerly a Purchasing Agent for a utility company, developing strategies for purchasing generating plant equipment. 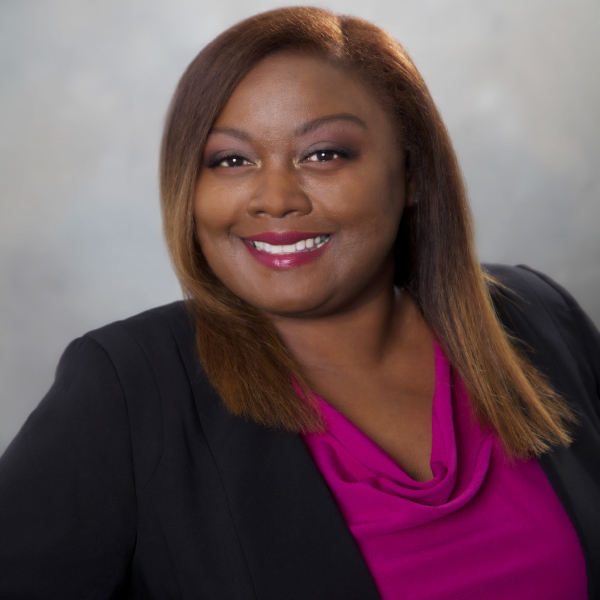 Prior to purchasing, Carolyne spent two years in Human Resources, where she was a Talent Management Agent specializing in recruiting for departments targeting veterans, promoting diversity and managing the company internship program. She developed the company’s first Veterans Celebration Program that became an annual event honoring the employees that were veterans thanking them for serving our country. Prior to Human Resources, she served in various roles with the utility company in capacities of building relationships with top tier companies. Her passion for the veterans became evident when her son Sgt. Timothy Sharp Jr. of the USMC proudly served and did a tour in Iraq during 2007 and was medically retired in 2012 due to PTSD, TBI and other Service Connected Injuries and in 2013 he passed away from multiple injuries during a motorcycle accident. She previously served on the Board of Directors for the American Diabetes Association and belongs to several different community organizations where she volunteers her time. One of her memberships was a Blue Star Mother where she held an office as the 3rd VP of Blue to Gold Liaison in 2016. She currently participates with the American Gold Star Mothers of America organization along with various community events that uplift and honor military families and other local community organizations. Being a daughter of a Vietnam War Veteran her father was a recipient of a Quilt of Valor in 2016. Carolyne is very familiar with the challenges of military families needing a strong support network, which also encouraged her to develop a 501c3 nonprofit organization honoring the veterans by supporting the children of wounded-veterans and the fallen service members. She is certified through the State of Nevada as a Nevada Veterans Service Advocate and a TAPS Peer Mentor for survivors. Her commitment to making a difference is defined as being the vessel to joy towards the military children, by helping them receive services they are eligible for and opportunities in the Las Vegas community while their parent is embracing recovery during a crisis. Carolyne currently resides in Henderson, Nevada and has been married for 26 years and has a son and daughter along with a grand daughter that her oldest son that died left behind. Her interests are shopping, traveling and trying new foods.